The Partners for Resilience (PfR) is an alliance of the Netherlands Red Cross (lead agency), CARE Netherlands, Cordaid, the Red Cross/Red Crescent Climate Centre, and Wetlands International. The PfR aim to reduce the impact of natural hazards on the livelihoods of around 400,000 vulnerable people worldwide. Partners for Resilience wants to make communities more resilient with these funds. Because, the more resilient a society is, the less vulnerable it becomes. Human suffering, deterioration of ecosystems and material damage may thus be prevented. This is also a way of investing in a future with less need for emergency relief. Partners for Resilience strives to help and support 750.000 to 1.000.000 people in 9 countries: Ethiopia, Kenya, Mali, Uganda, Guatemala, Nicaragua, Indonesia, the Philippines and India. These countries are especially vulnerable to natural disasters related to climate change and/or the deterioration of ecosystems. Advocacy and stimulation of knowledge sharing between governments, civil society, knowledge institutes and the private sector in the field of natural disaster reduction and climate adaptation. Stichting (foundation) Cordaid is one of the largest development aid organizations in the Netherlands. Cordaid is the Dutch Catholic Organization for Relief and Development Aid. They aim at a just and sustainable world for everybody. Where they share our Global Common Goods, where they make space for diversity and where they work together with everyone who shares our values, interests and a common purpose. They are an innovative, entrepreneurial and professional not-for-profit organization aiming at maximizing the social impact of our work in fragile and conflict affected areas. Cordaid’s programs are arranged according to the most pressing developmental themes in fragile contexts. In fragile and conflict areas Cordaid rebuilds trust, resilience and self-reliance. They equip and empower local communities to set their peace and development agendas and become leaders of social transformation. They stimulate women’s leadership programs and they have a strong focus on entrepreneurs and youth, as they believe they are key change agents in establishing peace and prosperity. They help build government systems that are sustainable and responsive to community needs. They launched Results-Based Financing (RBF) for healthcare over a decade ago. In 2014 they successfully expanded RBF to education, and security and justice programs. Cordaid has an excellent track record in pioneering innovative ways of funding. In fragile contexts, they promote a more resilient business climate through locally managed investment funds, serving the risk capital needs of small- and medium-sized enterprises. Our targeted training on core business skills helps local entrepreneurs to organize and access new markets. Healthcare - Every two minutes, a mother dies during either pregnancy or delivery. Cordaid is improving the accessibility of healthcare using result based financing, which is supervised by the local population. Humanitarian Aid - Disasters caused either by natural forces or by conflicts always hit the poorest the hardest. Cordaid has been working together with local communities to reduce the risk of disasters. It is our approach to follow-up rapid emergency aid during the occurrence of a disaster with sustainable development afterwards. Economic Opportunities - Cordaid invests in entrepreneurship in post-conflict areas to enable people to shape their own futures as well as restructuring their societies. Said investments provide entrepreneurs with the opportunities to generate new means to achieve a durable peace. Education - Cordaid provides care for children in vulnerable positions, such as orphans, children with disabilities, and homeless children. In addition, Cordaid provides a strong educational system that is supported by involved parents, teachers and authorities. Security & Justice - Establishing security in former conflict regions starts at community level.Cordaid enables people to organize themselves, and places them at the heart of the dialogue. Resilience - Cordaid’s builds resilient communities in disaster-prone areas by helping them develop their capacity to mitigate the impact of disasters and reduce the risks of hazards. Investments - What is the social return on your investments? Put your capital to work supporting enterprises, farms, building projects or healthcare. Cordaid’s professionals are working on risk management and optimization with over 100 microfinance institutions and funds in 12 countries. 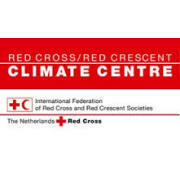 The Climate Centre aims to support the Red Cross and Red Crescent Movement in meeting the commitments made at the International Conference, by strengthening the ability of all components of the Movement to understand and address the rising risks related to climate change, climate variability and extreme weather events. Our strategy to address these rising risks is to integrate climate risk management into existing Red Cross and Red Crescent priorities and programs, rather than to develop stand-alone climate change activities. The Climate Centre’s activities comprise six key areas of work, all of which are interconnected, for instance, successful capacity building relies on analysis of experiences, resource mobilisation, awareness raising, etc. The need to significantly increase awareness within and outside the Red Cross and Red Crescent Movement about the humanitarian consequences of climate change and about opportunities for and good experiences with climate risk reduction. To significantly increase the number of staff at national societies, Zones, Regional Delegations and the Secretariat that are well equipped with climate change related knowledge, and use that knowledge in their work. To mobilize the significantly increased financial and human resources for climate risk reduction, in particular for the poorest people in the poorest countries. To reflect Red Cross Red Crescent concerns and proposals in the post 2012 agreements under the UNFCCC and other international policy processes. More governments, donor agencies, civil society organisations and scientists acknowledge (i) the potential impacts of climate change on the risks of natural disasters and on achieving the Millennium Development Goals (MDGs); (ii) the value of mainstreaming disaster risk reduction and climate change adaptation (iii) the need for more programmes on climate risk reduction; and (iv) the role civil society organizations, in particular the Red Cross and Red Crescent have in implementing these programmes. To build capacities, and strengthen communications and advocacy on climate related issues and support those with high-quality analyses of knowledge and experiences on climate risk management. To reduce the impacts of climate variability and extreme events through enhanced use of climatic information and related expertise by the Red Cross and Red Crescent. 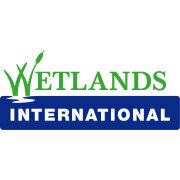 Wetlands International is dedicated to maintaining and restoring wetlands— for their environmental values as well as for the services they provide to people. We work through our network of offices, our partners and experts to achieve our goals. Most of our work is financed on a project basis by governments and private donors. We are also supported by government and NGO membership. Our head office is based in the Netherlands. We have eighteen offices around the world; these often independent entities share the Global Strategy. We work at the field level to develop and mobilise knowledge, and use this practical experience to advocate for better policies. Knowledge and sound science are at the core of our work. Our conservation and restoration efforts around the world serve as our test grounds to create best practices. This research in turn informs and improves our field practices so that our knowledge can be applied to other wetlands, develop additional tools and stimulate further research by others. It also allows us to scale up our findings to influence policy. We work to save and restore the most important wetland areas: we illustrate their economic and environmental value to authorities, address adverse impacts and enable local people to meet their needs in ways that preserve the services provided by wetlands. We give communities the tools they need to restore and wisely use wetlands. We provide knowledge and trainings, build local capacity and create access to finance opportunities. We work to improve the policies and practices of governments and companies through our local, national and international advocacy. We empower local communities to advocate for policy changes based on their own experiences and needs. We seek to influence international treaties and conventions such as the United Nations Framework Convention on Climate Change and the Ramsar Convention on Wetlands.